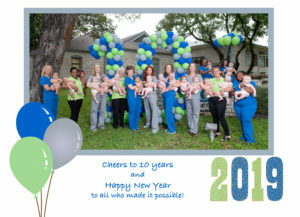 Happy New Year to all of our families, staff, and business partners. It is a pleasure to work with you. We are grateful for the opportunity to interact with and serve our community in this way. It was fun to celebrate 10 years this past fall and we are grateful to all who made it possible.